First, I said, play the passage without those grand-yet-annoying grace notes in the bass—in order to sense the basic three-eighths meter. This is already a little unusual. (Here we wandered a little off topic, as it became necessary to notice the melodic doubling in the tops of each hand.) Then, as always, our job is to give the small notes a place in time. Remember, just because the composer cavalierly tosses in some rhythmically unregistered notes—unaccounted for in the overall scheme of things—doesn't give us license to throw ourselves at the piano willy-nilly. We always have to tell our somewhat delinquent hands where and when to play. Give the grace notes a rhythm. This means they will borrow time from their preceding colleagues. Pedal with these bass notes. 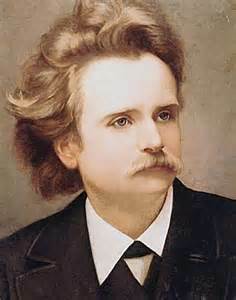 Grieg Concerto, Letter B as Played. 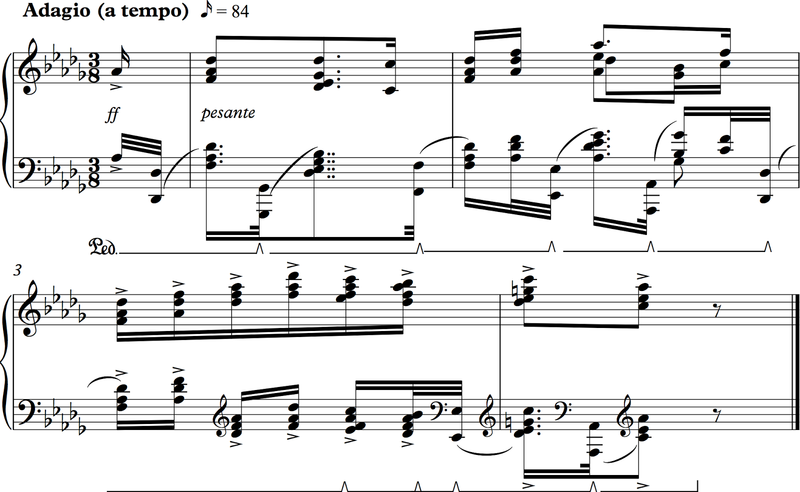 In an unrelated issue, in the preceding passage, the effervescent part, my student had heart palpitations trying to leap from the extreme treble to the lower bass with his left hand. We relieved considerable stress by combining the treble notes into chords in the right hand, which gives the left hand ample time to make its leap. Say it with me class: The score shows us what the music should sound like, not how it feels in our hands. You can listen to my favorite recording here, Dinu Lipati.